The main television premieres before the air on TV. Exclusive series that will never be shown on TV. Collections of shows, programs and films without advertising. A special collection of films and cartoons from the studio Disney. A unique collection of shows and films about sports. Live broadcasts of all the most anticipated sports events. Online broadcasting of popular TV channels in high quality. You can take your favorite TV show or show with you by downloading to your phone or tablet! And even without access to the network! 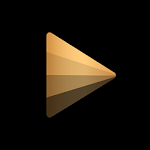 PREMIER: the most complete collection of shows, serials and films from leading TV channels. And also absolutely exclusive content, including superpremiers to the airtime on TV - 129 rubles per month. SPORT! PREMIER: live broadcast of the most anticipated sports events, the best programs and exclusive interviews on MATCH TV channels! and MATCH PREMIER - 229 rubles per month. 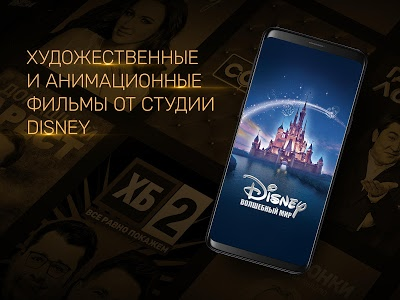 The magic world of Disney: a unique offer from the legendary studio - 229 rubles per month. Information about the price and duration of each subscription is available before the purchase. Subscriptions are paid by your Google Play account with an automatic renewal every 30 days. A 3-day free trial period is available for new users. You can cancel the subscription at any time in the "Subscriptions" section of Google Play before the next payment term.